Don Ireland’s NEW BTL!!!! (The Better-Than-Looked Professional Profit Angle!!!)! Reveals ‘Hidden Form’ & Trainer Setups. ++FREE!!! 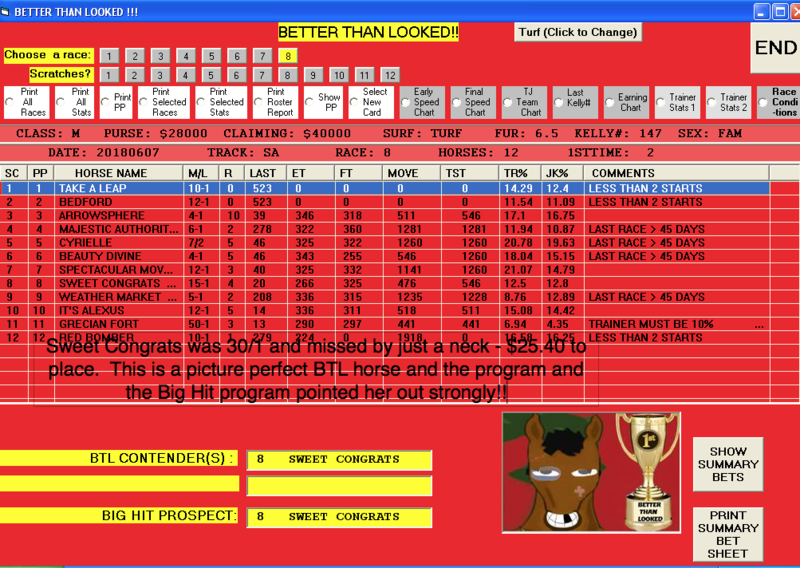 The BIG HIT Longshot Plan!! 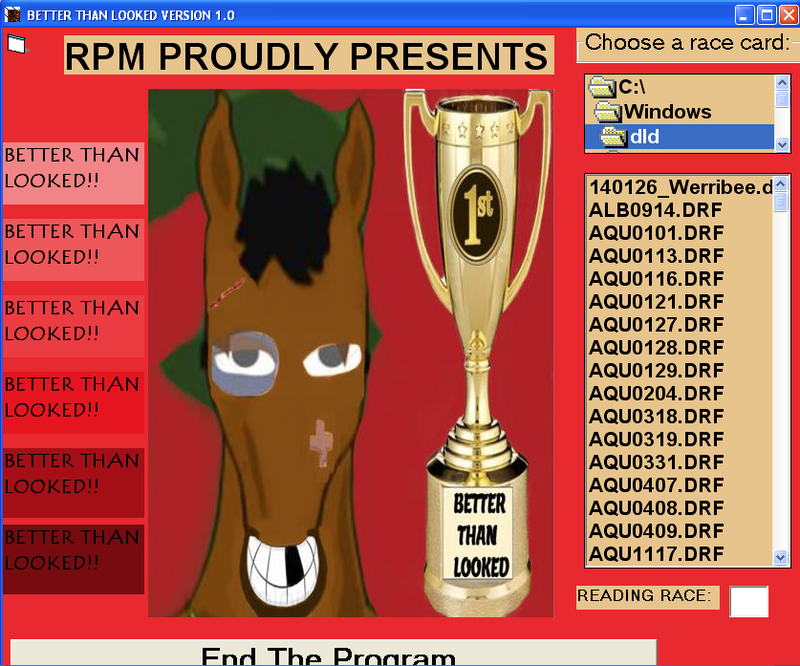 Editor’s Note: The ‘Better Than Looked’ Horse has long been a mystery to the average player, but a boon to the bottom line of professional players. The ability to spot horses who ran better than the running lines seem to show is a skill that will pay off over and over again, and often pay often Pay Off in a BIG way. 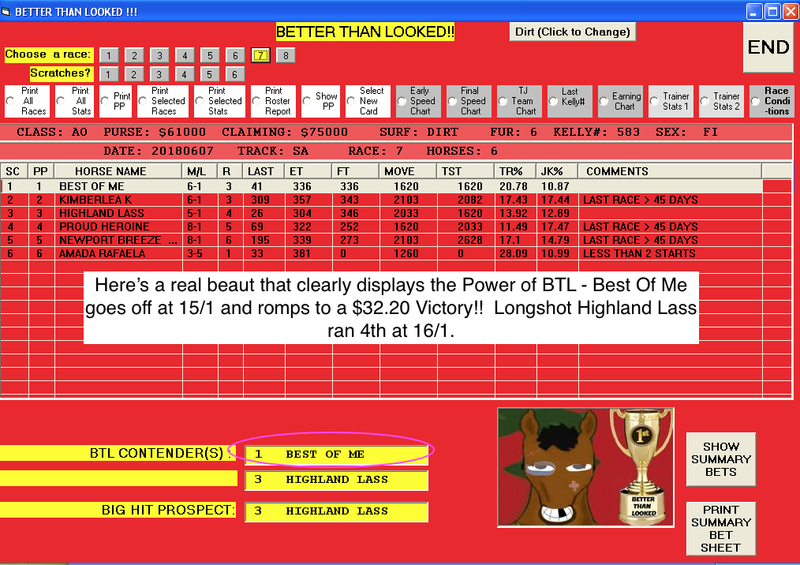 But, fear not — whether you are a professional player or just a weekend warrior, Pro Player Don Ireland has come up with a total beauty of a methodology that will allow you to spot, and profit from, these very same horses. 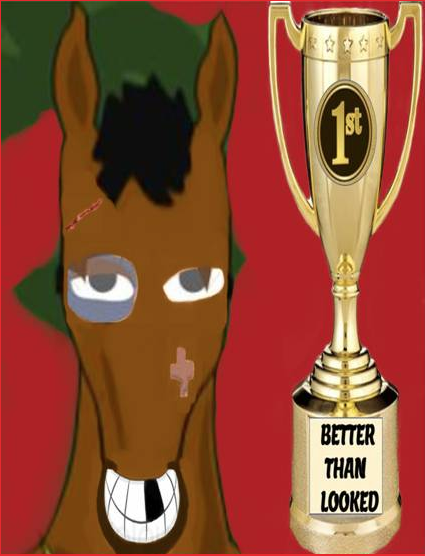 Spotting Better-Than-Looked Horses in an acquired skill that takes most horseplayers years to learn. 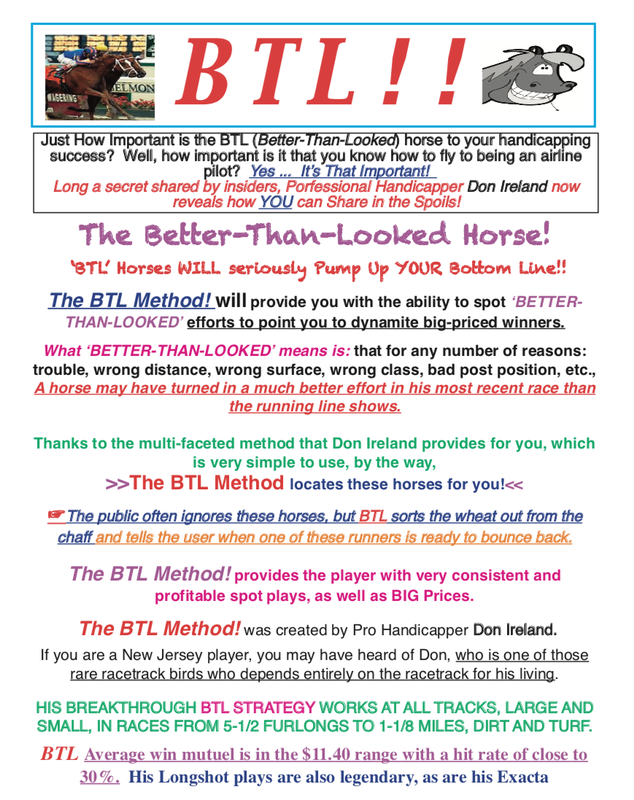 BTL boasts an incredible combination of Consistency and BIG Prices! 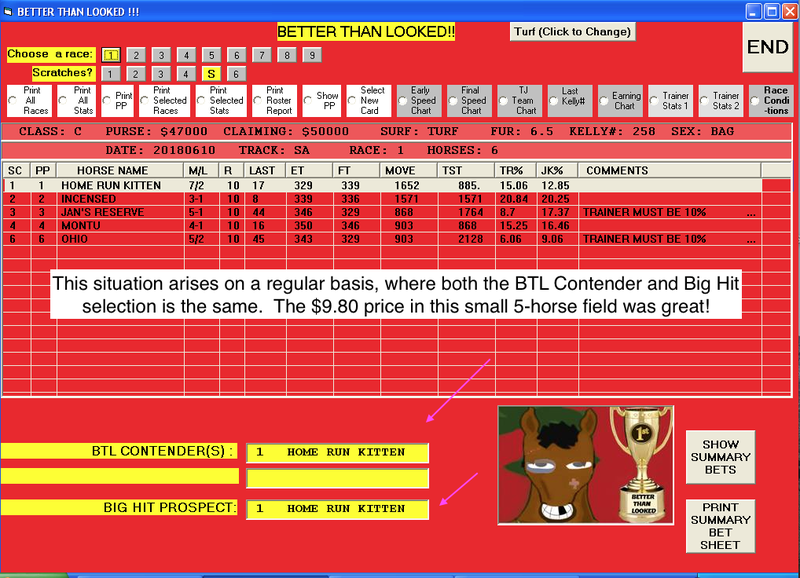 The Software does all the ‘looking’ and ‘checking’ for you, and provides you with lucrative BTL and BIG HIT Selections! →So take a look. This is really a SUPER Deal! 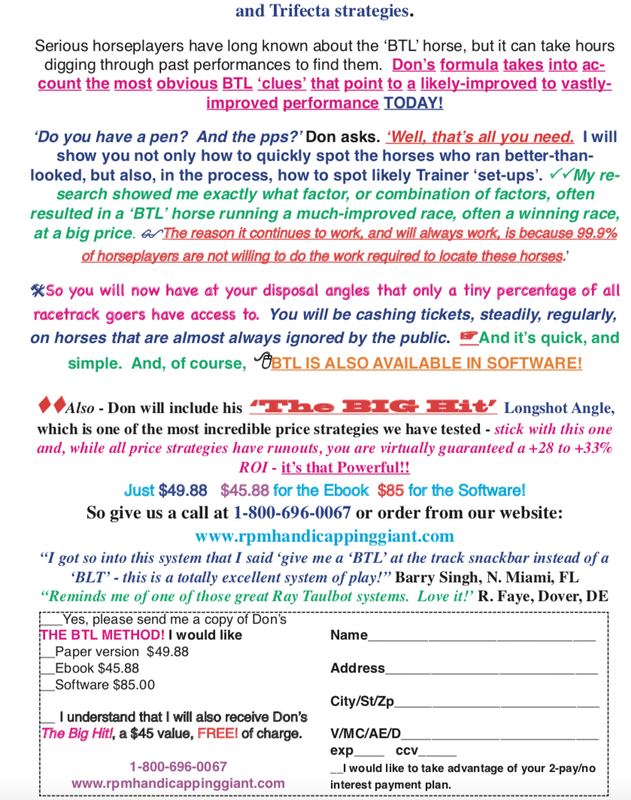 For just $49.88 you get Don’s Better-Than-Looked Professional Profit Angle! &, for FREE! !, his The BIG Hit Longshot angle. Just $45.88 for the Ebook and only $85.00 for the Software!! And, of course, call us with any questions you may have. Thank You!